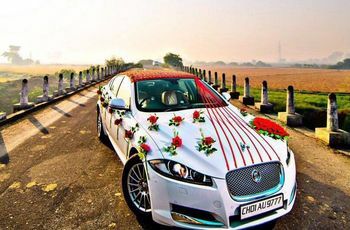 Use These 5 Stunning Wedding Car Decoration Ideas to Make Your Car Look like a Dreamy Affair | Wedding Tips ARE YOU A VENDOR? Use our simple ideas to personalize your wedding day ride because every cool groom needs a cool wedding car! 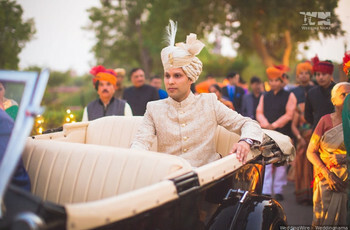 Every stylish groom comes with an equally stylish wedding procession, the highlight of which is the wedding car. It doesn't matter whether this car is a fancy vintage machine or a regular hatchback, they all find an important spot in wedding photography for being the groom's ride on the biggest day of his life. In the last few years, Indian wedding decorators have come a long way from the time of traditional flower decoration. You will find ingenious car decoration ideas on the internet. Read through our list of car decoration ideas to have a stylish wedding entry. 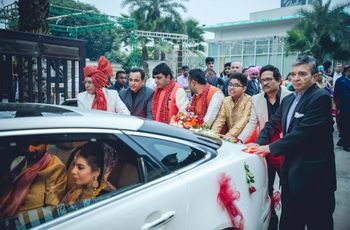 Like the wedding car above, add a funky banner to your ride and create a picture-worthy baraat. You can even add your wedding hashtag here, your name and that of your bride or a funny caricature that suits both your personalities. Remember to make sure you play some really funky wedding songs for the entry and create a cool Instagram story out of it. For a travel enthusiast couple, we recommend adding a couple of vintage suitcases to the back of your wedding car. 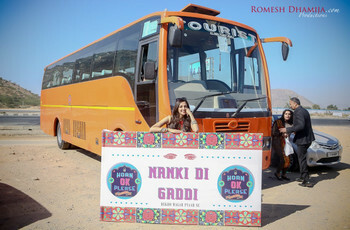 This goes well with a vintage wedding, while also bringing focus to your honeymoon trip. 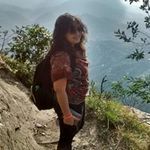 You could personalise it further by getting your names and honeymoon destination painted on the trunks, which can later be used as decor elements in your new home or for the honeymoon itself. Get them custom made and enhance the vintage factor. Step one here is to not restrict yourself to designs created by your neighbourhood florists. Times and styles have changed, which is why it's better to look up some flower decoration references online before having the final conversation with the decorator. If flowers are out of your budget, don't completely remove them from the design. Add a bunch to the front and back of your car or simply around the 'Just Married' sign. Just remember, choose flowers that go with the overall wedding decoration theme you've selected for your wedding. Instead of the conventional decoration, use small flower bouquets for decoration for the classy element. If flowers are not your thing or if you're having an off-season wedding, turn to accessories like ribbons, bows, balloons and tin cans to add personality to your wedding car. These accessories never go out of fashion and will help you create a wedding car like the ones you've seen in Hollywood movies. Classic yet fun! Creating an unconventional car décor will make you an inspiration for other people surfing the internet for ideas. 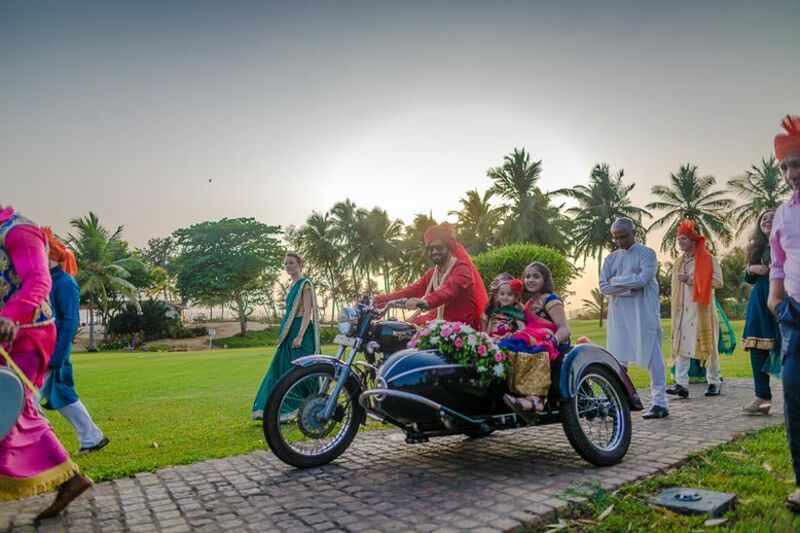 This wedding season, we’ve seen many grooms moving away from traditional wedding cars. Take inspiration from actor Karan Singh Grover who stood out with his Segway entry! We’ve also seen grooms entering on ATVs, hoverboards, sports bikes and even tractors! Talk to your wedding planner and see if you can arrange something similar to make an entry worth remembering. Go all out, take risks, after all, it’ll happen only once in your lifetime. We Will Now Help You Find Some Cool Ideas That You Can Put to Use for Your Wedding Car Decoration! Use these cool ideas to enhance your wedding car decoration and arrive in style to take the girl of your dreams by the storm! Read on and get inspired! 3. You can also use lace to create some cool designs to enhance your wedding car decoration. Some cool graffiti or something. Interesting, isn't it? 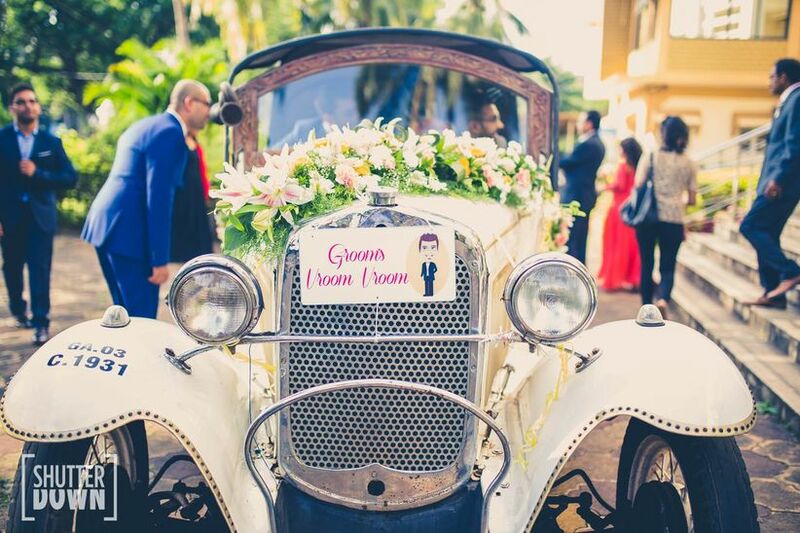 Follow some of these cool tips to amp up your wedding car decoration goals and create a statement that makes you a show-stopper groom of the century! In the end, what matters most is that you should enjoy your wedding day completely. Pick a funky wedding song for your entry and a design style that suits your sherwani and you're good to go! Make that entry in style. 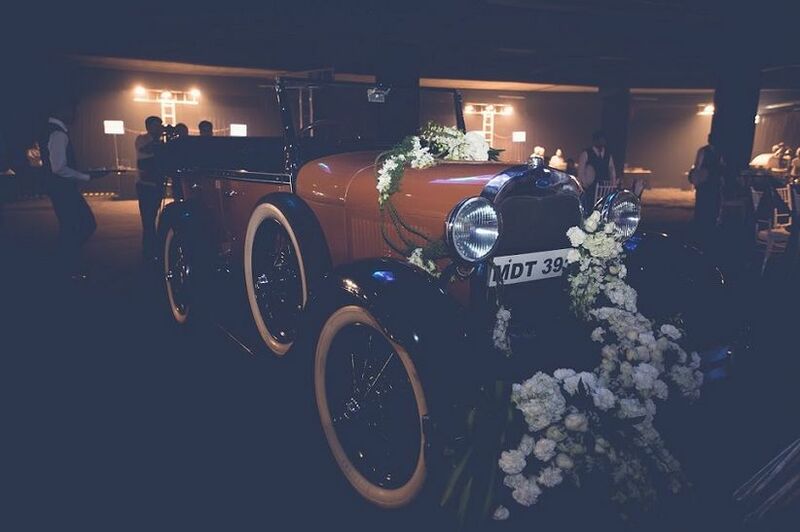 Which wedding car decoration idea did you love best? Tell us through the comments!